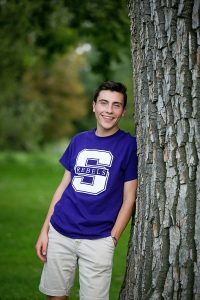 A Denver high school student, who’s Catholic and gay, has received “overwhelming” messages of “love and support,” after his opinion article, objecting to a Catholic-Church initiative to “heal” LGBTQ people, went viral. The intense response to Johnny Hultzapple’s essay caused the Colorado Times Recorder’s website to crash last week, ultimately bringing a quarter million viewers to read the article. “People are thanking me, apologizing to me on behalf of the church, stating their support for me, and recounting personal experiences that are similar to mine,” wrote Hultzapple when asked about the response to his article. “I have received messages from gay people and straight people, from Catholics and non-Catholics, and from people of all different religious and LGBTQ identities. I’ve received messages from priests, nuns, authors, broadway performers, professors, teachers, people of all professions. I’ve received messages from people not only all over the country, but from all over the world. My article was translated into Portuguese and Spanish. Today I even received a nice letter, a t-shirt and lanyard from a Catholic university in Minnesota. “Interestingly, all of these positive responses share the same sentiment: it is time for the Catholic church to start truly loving and accepting LGBTQ individuals in the same way that Jesus would/does. I think many Catholics are ready to fully accept the LGBTQ community but are held back by the archaic views of the institution of the Church. Hultzapple wrote about how thankful he is for the support. With emails and texts arriving during his classes at South High School and his Model-United Nations competitions, Hultzapple found time to read his article for a TV news story, headlined “Gay Denver teen pens essay after archdiocese invites controversial host to gender matters conference,” on Denver’s ABC affiliate. After his article began circulating online, Hultzapple was contacted by Catholics who shared their own stories of bigotry with him. “The most touching responses I have received are from the people who have been personally hurt by the Church in the same way that I have,” Hultzapple said. “The responses show me the large number of people who have felt dehumanized and ostracized by the Church. I am not alone in the frustration and anguish I feel towards the Church’s hypocritical and harmful beliefs. I have received responses from Catholic priests and nuns who told me about their struggle with the Church’s beliefs because of their own sexual orientations. Some of these religious members have even apologized to me on behalf of the Church. Why the Focus on LGBTQ People? Hultzapple thinks the church should turn its attention toward issues of poverty. 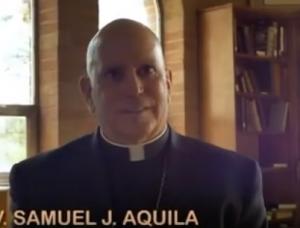 “I wish the Archdiocese and the Church as a whole could focus their energy on more pressing issues such as feeding the poor, sheltering the homeless, and aiding refugees. In addition, the only sexual brokenness the Church actually needs to fix is the rampant sexual abuse of children by priests. As for LGBTQ issues, Hultzapple said it’s time for all religious people to join together in trying to convince Catholic Church to change. Next up for Hultzapple: He’s been asked by two state lawmakers to testify in favor of a proposed law in Colorado banning conversion therapy for minors later this month.